Stretching from 11th Street to 15th Street in the heart of Downtown Boulder, CO, the Pearl Street Mall is an outdoor pedestrian mall and a hub for culture, food, business, and the arts. Drivers from Thornton and throughout the wider area come to the Pearl Street Mall to grab dinner, shop, drink good beer, and much more. But what are some of the best attractions? Find out here with Fisher Acura in Boulder, where you’ll find lots of new vehicle specials going on now! 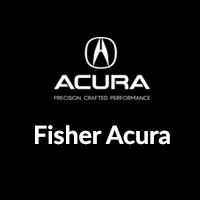 The Fisher Acura team is your guide to arts and culture in Boulder and Arvada. Stop in and see us today, and check out our online payment calculator to estimate your monthly payments on a brand-new Acura! We’re located at 6025 Arapahoe Road in Boulder, CO, and you can contact us at (303) 998-6295. While you’re here, check out our guide to the Boulder Flatirons.